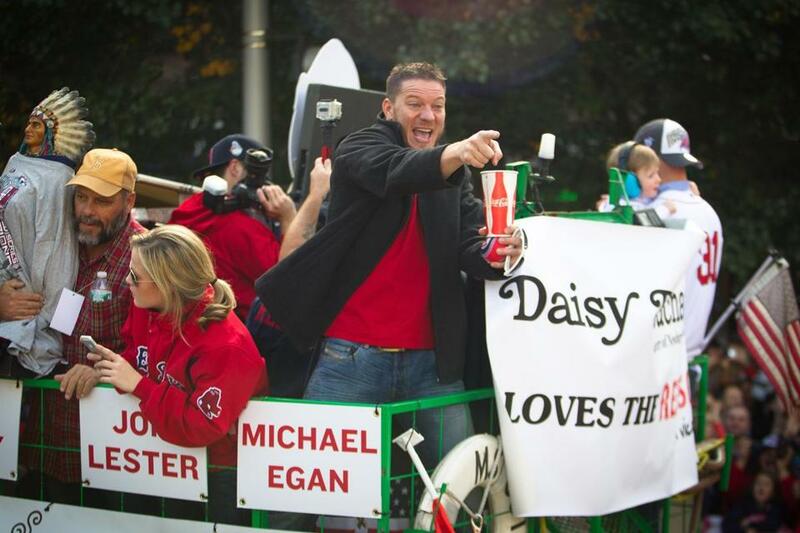 Jake Peavy bought the duck boat he rode in during the parade. Jake Peavy became the proud owner of the bright green duck boat he and Jon Lester rode in during the Red Sox’ rolling celebration through the streets and waterways of Boston. Peavy, a native of Alabama who came to the Red Sox midseason from the White Sox in a three-team deal that sent rookie shortstop Jose Iglesias to the Tigers, won four games in 10 starts for the Red Sox down the stretch, and started three playoff games. The veteran righthander confirmed the purchase on Twitter, proclaiming his hopes that the former military vehicle turned touring machine will become a family heirloom.